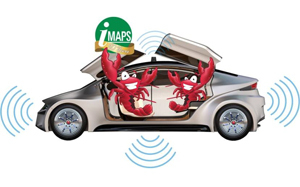 The iMAPS New England 45th Symposium & Expo will be held on May 1, 2018 in Boxborough, Massachusetts. The theme is “Into the Future Autonomously” and the Symposium will feature a keynote by Chris Jacobs the Vice President of Autonomous Transportation & Safety at Analog Devices, Incorporated. Come join us and learn more about the challenges and innovations of autonomous transport. Neu Dynamics will be in the sold-out exhibit hall in booth #104. Stop by and say hello! You may have heard that we are now representing Boschman Technologies. We will have with us two representatives from the company: Eef Boschman, Managing Director (Boschman Technologies/APC) and Patrick Huberts, US Country Manager (Boschman Technologies /APC). Bring your questions for our experts from Boschman. Boschman Technologies – based in the Netherlands – offers unique process and equipment solutions for the global semiconductor industry and related markets. Film-Assisted Molding is a collection of Boschman’s proprietary technologies that are essentially a variation on the transfer molding process. Their Film-Assisted Molding process uses either one or two plastic films to “assist” in the mold. Before the products to be encapsulated are loaded into the mold, the film is drawn down into the inner surfaces of the mold. This is followed by the usual transfer molding process, however the resulting encapsulated products are more easily released from the mold, metal surfaces are kept free of sticky molding compound and there is less wear on mold parts yielding longer service life. Silver Sintering is a new die attach technology offering a void-free and strong bond with high thermal and electrical conductivity. This results in high yield and high reliability. Ag sintering is applicable to a wide range of different devices including led, power, igbt, qfn, clip/heatsink, thyristor and custom designed power devices. Boschman’s Advanced Packaging Center (APC) provides a wide range of packaging services. They offer package technology research, package development, qualification, prototyping as well as small to medium volume manufacturing services. APC can also help you transfer from prototyping to mass production for mems, Sensors and advanced IC. Meet the experts from Boschman at the Neu Dynamics Booth #104! ⇐ NDCI Now Representing Master Machinery Corp.